Over 25 years ago, EnviroForensics and PolicyFind’s CEO Steve Henshaw, P.G. 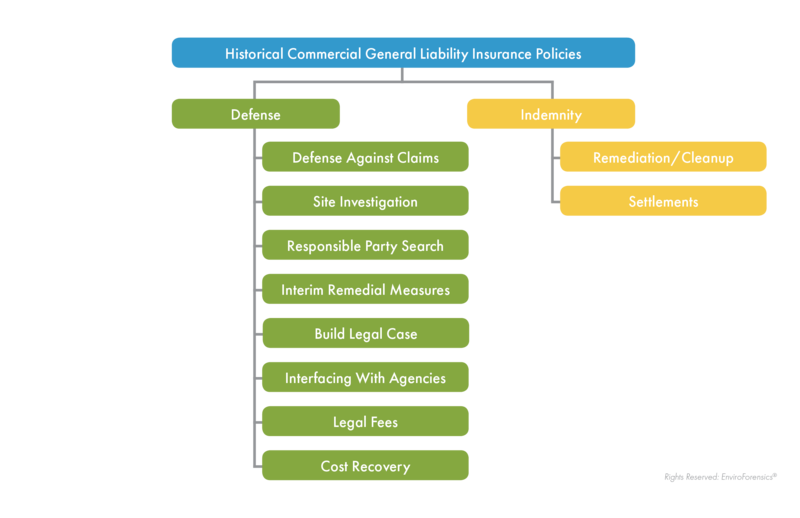 discovered the power contained within historical commercial general liability (CGL) insurance policies in the face of a lawsuit or an environmental issue. Henshaw discovered, and has since proven, that using a company’s historical CGL insurance policy is an effective funding source to pay for the expensive cost of investigating and cleaning up environmental contamination. What Are Commercial General Liability Insurance Policies? CGL insurance policies are purchased by business owners to cover them against their business’ liability exposures. This is very important in determining whether an individual or business’ old insurance policies can be used to pay for environmental investigations and clean-ups. This makes CGL policies very important protection for corporate policyholders because they broadly provide defense and indemnity coverage against claims for bodily injury and property damage. Coverage includes products, completed operations, premises and operations, elevators, and independent contractors, to name a few. Hiring a proven Insurance Archeologist can help your company uncover millions of dollars in usable insurance assets to cover legal fees and pay for investigation and remediation of environmental contamination. How Do “Historical” Commercial General Liability Insurance Policies Work? In general, CGL policies have included and even excluded environmental pollution and contamination language like “unexpected and unintended releases.” Such unexpected and unintended releases mean accidental releases or accidental spills, not intentional releases, which would be better defined as dumping or disposing. CGL policies were not covering individuals and businesses for pollution or contamination associated with dry cleaning operations. A separate environmental policy would be required to cover environmental pollution and contamination. So, if you or your business bought CGL insurance before the policies contained absolute pollution exclusion language, you are likely to have insurance coverage that can address environmental contamination, even if that contamination has only been recently discovered. In addition, old policies provide a defense against a claim or suit. In some states, a claim or suit could be a letter from the regulatory agency or a neighboring property owner demanding a response to identified environmental contamination. In other states, the courts have determined that the insurers must only defend an actual lawsuit. ‘OK’, you might ask, ‘that sounds great, but what if I can’t find my old policies or policies that were bought by the former owners?’ Well, those old policies can still be found. While there is no guarantee, contacting an expert insurance archeologist increases your chances of finding old policies or evidence of old policies. PolicyFind, a division of EnviroForensics, boasts an 85% success rate at finding old insurance policies or evidence of old policies. Insurance archeologists have the knowledge-base to find evidence of CGL policies, and advise clients on how those policies can be used. Frequently clients say hiring an Insurance Archeology team was one of the best investments they’ve made and helped further their company’s success. After finding the old policies, it is then critical that you know how to use these policies to your benefit. Insurance law is different from state to state and not every state has good law for the policyholder. Insurance policies contain different language which can vary by carrier and by policy period. A defense includes paying for lawyers dealing with the environmental contamination. A defense would also include quantifying an individual or business’ exposure and liability. The only way to quantify environmental liability is to collect environmental samples (e.g. soil, soil gas, indoor vapor, groundwater). It would also mean determining how expensive a cleanup would be, which means that, aquifer tests, feasibility studies and remediation technology evaluation should be covered. Indemnification is the process where the insurer brings the insured back to where they were before the damages occurred, as stipulated within the insuring agreement. In other words, indemnification makes the insured ‘whole’ again by paying for damages or losses already sustained and expenses already incurred. Plumbing and building supply companies defending product liability claims from exposure to products sold containing asbestos. Manufacturers of pumps defending product liability claims from exposure to asbestos gaskets. Churches and schools defending personal injury claims. Dry cleaners defending against environmental property damage claims brought by neighboring business property owners. Business property owners defending property damage claims by state environmental authorities. Insurance companies defending policyholders against environmental property damage claims and wishing to document insurance coverage of other potentially responsible parties. Real estate developers, environmental consultants, attorneys and regulatory agencies. Insurance archeology can recover historical insurance coverage, which may pay for environmental investigation and remediation and legal counsel. The process of using old insurance policies has many parts. There may be an insurance archeology component, a legal component and an environmental component and they all have to work together. Understanding all aspects of the process is not your job, that’s why you hire experts to uncover your insurance assets. EnviroForensics and PolicyFind have successfully used the historical insurance of businesses, individuals and even defunct and bankrupt companies as sources of funding to pay for the investigation and cleanup of contaminated sites. There are billions of dollars in unclaimed assets available to parties looking to defend environmental claims and personal injury claims. PolicyFind works diligently every day to put the power of the policy back in the policyholder’s hands – where it belongs. Call PolicyFind’s insurance archeology experts today at 866-888-7911 or fill out our form. PolicyFind clients commonly face immense challenges and deadlines, and they rely on our strengths to provide solutions for them. Our team understands the unique set of circumstances that businesses face when liabilities from past business operations arise. With our help, they can overcome their inevitable feelings of anxiety, powerlessness, and uncertainty. Kristen Brown brings more than a decade of research and managerial experience in broadcast journalism to the field of insurance archeology. 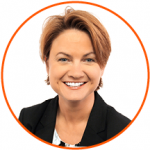 Since joining the PolicyFind team in 2015, Ms. Brown has successfully documented liability insurance programs on behalf of municipalities, manufacturers and dry cleaners. She continues to translate her expertise in source procurement and digital fact-finding, performing insurance research activities at a very high level, providing on-time execution of contracted performance goals.